Andy Farber is an award winning jazz composer, arranger and saxophonist and has spent years performing with the likes of Jon Hendricks and Wynton Marsalis. Since 1994, Farber has been part of the Jazz @ Lincoln Center stable of writers and performers. Through J@LC, Farber has toured with the J@LC Orchestra, written originals compositions and arrangements and been a guest artistic director. Farber has written arrangements for people like Wynton Marsalis, Jon Hendricks, Shirley Horn, Bobby Short, Ann Hampton Calloway, Frankie Laine, Allan Harris, Cynthia Scott, Billy Stritch, Stevie Wonder, B.B. King, Bob Dylan, Ray Charles, Joe Lovano, Lee Konitz, Joe Piscopo, Joe Cocker, George Benson, Robert Downey Jr., Paul Simon, Kevin Spacey, Wynona Judd, Fantasia, Ernestine Anderson, Vanessa Williams, Roseanna Vitro and Catherine Russell. Farber's arrangements have been performed by The Boston Pops Orchestra, the Philly Pops Orchestra, the Boca Pops Orchestra and several symphony orchestras throughout Europe. 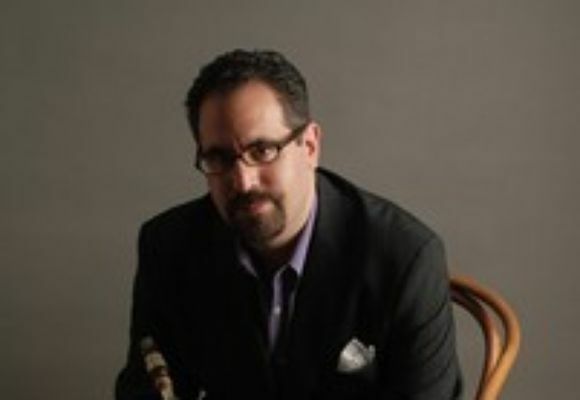 Farber has been a guest conductor of the Jazz at Lincoln Center Orchestra, the Winnipeg Jazz Orchestra, and in 2004 made his symphonic conducting debut with the Bronx Arts Ensemble. His work as an arranger, conductor and instrumentalist can be heard on numerous recordings. Farber has been teaching jazz composition and arranging at The Juilliard School and is the music director of the BMI Jazz Composers Workshop. As a leader, Andy and his 17-piece big band (Andy Farber & his Orchestra) enjoyed a 2-year residency at Birdland in NYC, and continues to perform and record. Outside of the jazz arena, Farber composes music for TV and film.